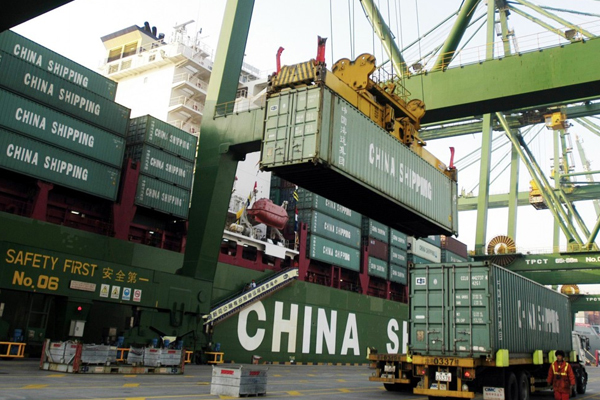 Logistics in the Asian-Pacific Rim is a complex and sometimes precarious business. Professor Peter J. Rimmer considers how to best understand logistics in this area and looks towards the future. Aung San Suu Kyi’s photographs with world leaders captured what meagre global media attention was afforded November’s Association of Southeast Asian Nations (ASEAN) Ninth East Asia Summit in Myanmar’s capital of Naypyidaw. Comprising ASEAN’s ten countries — Brunei, Cambodia, Indonesia, Laos, Malaysia, Myanmar, the Philippines, Singapore, Thailand, Viet Nam — plus China, Japan, South Korea, India, Australia and New Zealand (ASEAN+6) and including Russia and the United States — this grouping was sandwiched between the more newsworthy summits of the Asia-Pacific Economic Cooperation (APEC) in Beijing, China, and the G20 in Brisbane, Australia. Yet all three agendas were concerned with the role of logistics in facilitating trade, keynoting the importance of funding infrastructural investments to plug physical gaps in transport and telecommunications networks, and the removal of import tariffs and export procedures currently impeding cross-border business connectivity. Indeed, of the three, the Asian-Pacific Rim (ASEAN+6) grouping, excluding Russia and the United States, provides a much tighter geographical base for discussing logistics. Logistics, taking its cues from its military origins, involves ‘having the right product, in the right quantity, in the right condition, at the right place, at the right time, for the right customer, at the right cost’ (Wisner et al., 2008, 358). Over time the attempt to achieve these seven Rs of logistics have seen major changes in emphasis. Initially, physical distribution management optimized transport and warehousing in connecting manufacturing and sales. Then business logistics optimized connections across procurement, manufacturing and distribution divisions. Next supply chain management established and optimized entire value chains through logistics service providers integrating supplier, producer and retailer enterprises to meet final customer demand, Now the global logistics network is perceived as the framework within which multinational industrial corporations establish and optimize systems to integrate their value chains to gain a competitive edge over rivals within an increasingly complex and risky environment. The global logistics network, determining the ultimate reach of the value chains of multimodal manufacturers and retailers, is often depicted as a balanced pattern of inter-connected nodes. In reality there is a global hub-and-spoke system comprising ‘Main Street’ linking Europe, Asia and North America featuring hubs that are linked to terminals within their respective cul-de-sacs of Africa, Oceania and Central and South America. This system permeates all modes. By adding the top 25 rankings across container shipping, air cargo, air passenger and the Internet, it is possible to determine ‘global gateways’ that are the favoured headquarter locations of logistics service providers and multinational manufacturers and retailers. All nineteen gateways — with representation in the top 25 of at least two modes — are located along Main Street in the northern hemisphere with five in North America, six in Europe and eight in Asia and the Middle East, including the Rim’s Bangkok, Beijing, Jakarta, Hong Kong, Singapore, Shanghai and Tokyo. The regional logistics network within the Asian-Pacific Rim, featuring gateways, proto-gateways and maritime, air or Internet hubs, can also be identified using this method of analysis. Inter-gateway competition can be illustrated by reference to Singapore, Hong Kong and Shanghai, and the importance of intra-gateway logistics in maintaining gateway status demonstrated by Tokyo. Specifications for elevating regional proto-gateways and modal hubs to higher levels can be distilled from examining the strength of their connections within regional maritime, aviation and telecommunications cross-border corridors, and incorporated into the territorial planning of local economies, involving the maintenance, regulation, and taxation of the infrastructure within which multinational corporations operate. National logistics policies, typified by Japan, South Korea, China, Australia and India, focus on opportunities for maintaining or upgrading global and regional gateways, proto-gateways and modal hubs through efficiency reforms (though none, as yet, have a Ministry for Logistics!). Since 1997 Japan’s five four-year policies have not only streamlined domestic logistics but also assisted planning in Southeast Asia based on an integrated network of nine economic corridors to facilitate the penetration of the country’s small and medium size enterprises. From 2001 South Korea’s rolling national logistics plan to 2020 has sought to develop its own global logistics service providers and become a regional gateway for Northeast Asia. Since 2005 China’s central government has also recognized the importance of streamlining its logistics system’s management to narrow disparities between coastal and interior provinces, and improve national competitiveness. Discussions of a common logistics plan between Japan, South Korea and China in Northeast Asia’s fractured political space has led to the identification of transnational economic corridors straddling border areas that connect with those in Southeast Asia. While India is pursuing a ‘Look East’ policy by connecting with these corridors across Myanmar, Australia is still in the process of re-orientating its logistics structure to overcome the disadvantages of its cul-de-sac position to interact more closely with the Rim’s Main Street economies. Since 2012 a regional logistics policy has become more urgent because ASEAN is seeking to create a free trade area with its six partners. This proposed Regional Comprehensive Economic Partnership (RCEP) with a GDP of almost US$20 trillion and a population of 3.5 billion in 2015 would constitute the world’s largest trading bloc. If this arrangement materialized there would be a pressing need to provide a broader institutional framework and overcome the lack of infrastructure funding. China’s proposed Asian Infrastructure Investment Bank (AIIB) with a US$50 billion kitty for public and private co-investment could, by cooperating with the World Bank and the Asian Development Bank (ADB), develop the necessary knowledge of geographical conditions and economic realities required to identify, prioritize and prepare viable logistics projects within the Asian-Pacific Rim. While infrastructure projects cannot resolve all issues, the regional logistics policy’s task is to develop a rigorous financial plan to attract the world’s private savings into productive economic infrastructure. Projects need to be related to each other and double-checked to determine whether they over-or under-estimate the cost of obstacles or their removal in mobilizing resources for infrastructure networks. Much technical work is required to develop a more rigorous cost-benefit analysis to overcome the limitations of both the ‘national calculus’ for setting infrastructural priorities and the ‘transnational’ calculus that can skew investment to cross-border projects at the expense of ‘behind the border’ needs of gateways and remote rural areas. Although budgetary costs are a significant barrier to implementation, software issues can be equally significant. Harmonizing regulations, national laws, administrative procedures and international conventions are a necessary prerequisite for multinational corporations to effect cost economies within their supply chain networks. 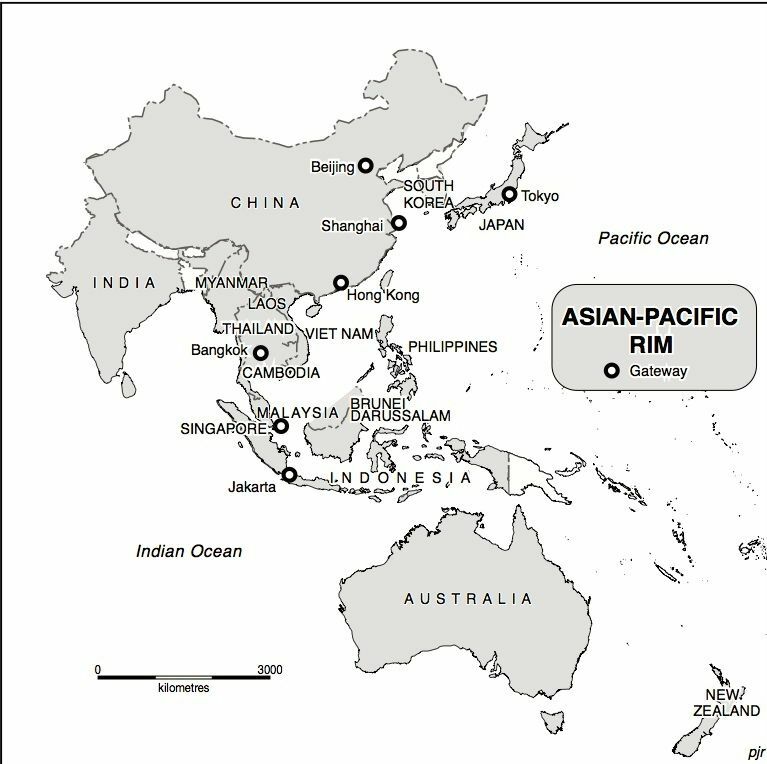 The next logical step is to examine how future connections between the Asia-Pacific Rim and the rest of Asia will develop. By 2050 one can envisage the revamping of the global hub and spoke system to incorporate the Eurasian Landbridge. Besides identifying this reincarnation of the Silk Road, there is a also need, given the twin emphasis on sustainability and changing demographics, to examine alternative global, local, and global plus local scenarios based on the varying degree production sites are relocated, alternative technologies such as 3D printing, cloud and robotics are adopted, and new markets are opened up through the provision of an omni-channel customer experience linking physical stores and online shopping. This analysis should be predicated upon the next generation of analytical approaches in which logistics forces are likely to shift from a supportive to a strategic role in shaping market forces. Professor Peter Rimmer is an economic geographer who specialises in urban and regional development within the Asian-Pacific Rim with a particular emphasis on the role of communications and transport (road, rail, sea and air). He has undertaken research work in China, Hong Kong SAR, Japan, Korea, Indonesia, Malaysia, Papua New Guinea, the Philippines, Singapore, Taiwan, Thailand and Vietnam. His latest book Asian-Pacific Rim Logistics: Global Context and Local Policies is available now from Edward Elgar Publishing.